It has been exactly one year since the fatal Sound Transit bus crash that killed Robert and Elizabeth Rotta and injured their son, Kendall on an overpass of I-405 in Kirkland. But even after all that time, the surviving family members are still trying to figure out what exactly caused this devastating collision in the first place. Kendall Rotta, 51, and his parents were on their way to an early Mother’s Day celebratory dinner on May 6, 2013 in Kirkland when a Sound Transit commuter bus ran a red light and crashed into the passenger’s side of the family’s SUV. The impact of the crash killed Robert at the scene, while Elizabeth and Kendall were taken to Harborview Medical Center to be treated for their injuries. Unfortunately, Elizabeth passed away hours later after arriving at the hospital. “I’m very relieved and thankful that they’re together and one isn’t left behind,” said Renae Meyer, the Rottas’ surviving daughter. According to news reports, Alexsandr Rukhlin – the driver of the bus involved in the crash – told investigators that he had attempted to apply the brakes to slow the bus down as it approached the red light at the intersection, but the brakes had failed. Investigators stated that Rukhlin showed no signs of impairment when they interviewed him following the collision. 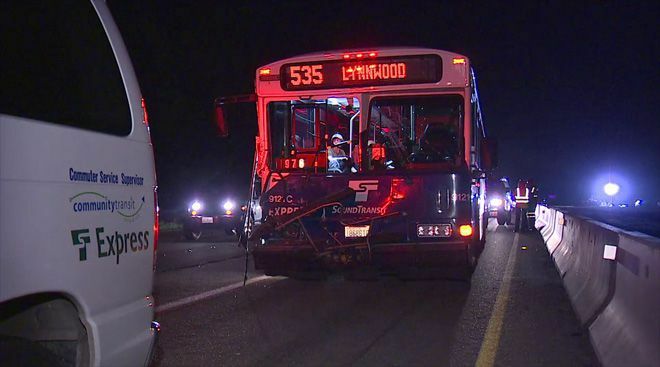 In order to learn more about what caused the crash and achieve justice for their parents, the Rotta family has filed a lawsuit against First Transit – the Ohio-based company who is contracted by Sound Transit to operate and maintain the bus service. “They’re still struggling with the loss and the traumatic impact of what happened,” said Mr. Davis. But there are a number of conflicting statements involved in this case, considering that the Washington State Patrol investigation found no mechanical issues with the bus despite the driver’s claim that the brakes failed.